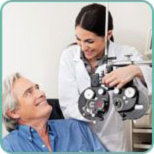 Eye Care and Cure was founded in Tucson, Arizona in 1995 by Johan van Dalen M.D., Ph.D.. As a practicing ophthalmologist, Dr. van Dalen understood the need for a company that could supply eye care professionals with innovative products as well as all the necessities in a “one-stop-shop”. Today, Eye Care and Cure has grown into an international company selling thousands of products, including pharmaceuticals, medical supplies and eye care products. 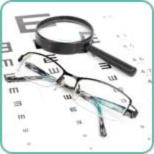 Eye Care and Cure designs, develops and manufactures several of its own proprietary products. Most recently, we introduced the EpiGlare, an LED powered glare tester developed to simulate headlights during night driving. Other products manufactured by Eye Care and Cure include the Pro-Lectro Epilator, the Phake-I Surgical Practice Eye, and the I-Core.